When playing Dungeons & Dragons, it’s not uncommon to finish up a campaign with your characters saving the world or rescuing innocents. It seems many adventures you watch on twitch.tv/dnd have some variation of that theme set in a fantasy world… but fans can have a strong, positive impact in this world, too. 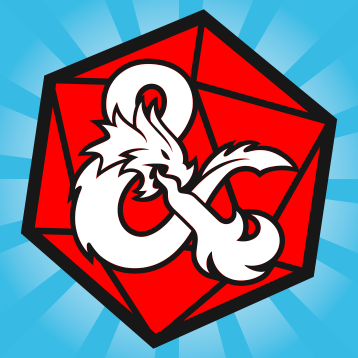 Extra Life is a charity organization D&D has been happy to be involved with since 2013, where gamers stream themselves playing together with the express purpose of driving donations to the Children's Hospitals Network. For 2018, we’re expanding our livestreaming and other efforts and encouraging fans to help drive even more donations. If you want to raise money for kids this year by creating your own individual or sub team page, it's easy! The Extra Life site will guide you through the steps of registering, and you’ll be automatically added to the Dungeons & Dragons Extra Life Team. All donations that you and your sub team raises will help us reach our goal! You can also contribute at any time toward the effort. To help out, please consider donating directly to the D&D Team/Captain. You can also donate to any of the DMs and groups within the D&D Team. D&D Extra Life Apparel: Available via Custom Ink, your choice of shirts and hoodies, with multiple designs.